Stunning Furniture at Sensible Prices. Kent & Midlands Showrooms. View our stunning range of dining room furniture. 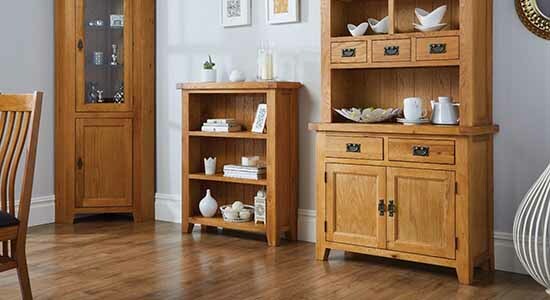 Specialists in high quality oak furniture, we offer year round lowest prices for premium quality oak dining room furniture, living room furniture and bedroom furniture. Fast home UK delivery along with a 7 day no questions asked money back guarantee and exceptional customer care. We control the manufacturing and importing of all of our furniture ranges which means we can pass on massive savings to our customers. All of our ranges are heavily discounted with prices up to 70% off high street RRP prices. Mix and match any of our furniture products to make your own custom dining set or interior design. Please talk to one of our friendly sales staff if you have any questions about which items match best together as the number of combinations are virtually endless. We have showrooms in Kent and Staffordshire. New ranges of oak hallway furniture now arriving into stock. We stock hundreds of different extending dining tables in a wide range of sizes and styles including an impressive range of large 10-12 seater oak dining table designs. We also stock compact and smaller 2-4 seater tables and standard 6–8 seater tables for your kitchen or dining room. 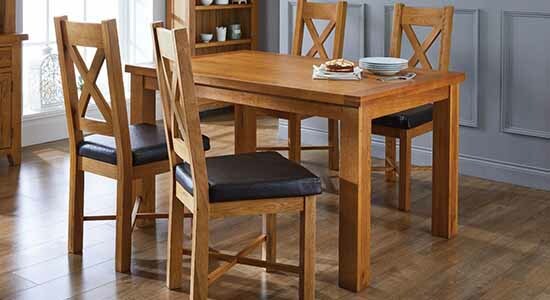 We also carry a vast range of oak dining chairs, kitchen chairs and bar stools to match your table perfectly. 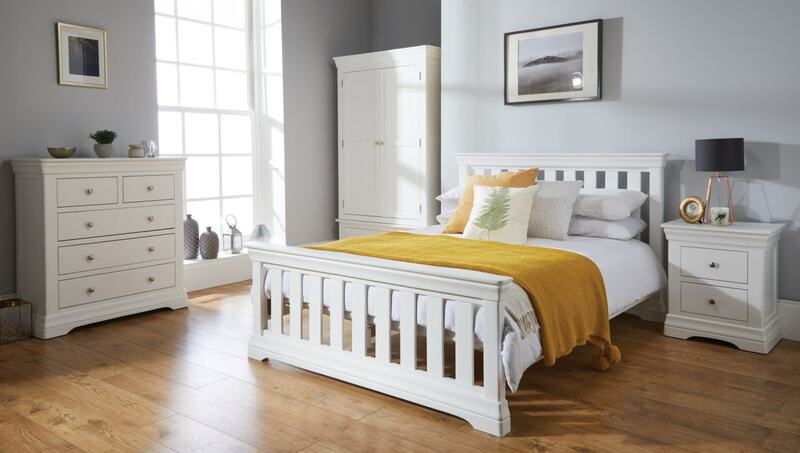 From our popular rustic Farmhouse-style oak bedroom furniture to more modern and contemporary bedroom furniture sets, we stock a huge range of oak wardrobes and beds with matching chest of drawers, blanket boxes, bedside tables and dressing tables for storage. We also sell a range of beautiful oak mirrors to add that perfect finishing touch to your bedroom design. Whether you are looking for traditional Country-style living room furniture or something more slender and sleek, we are certain to offer a style that will look fantastic in your home. Our oak TV stands, sideboards, display cabinets, console tables and storage solutions have been carefully selected to allow you to maximise your available space, craft an interior design that suits your personality and wow your guests.